I have had a backlog of posts in my drafts so do bear with me if this week 's posts are just skincare. Majority of the products I will be talking about this week have been tested and tried since May but I am only getting around to writing about them now. Today's skincare is a brand that I love and some of these products have been featured already at some point. 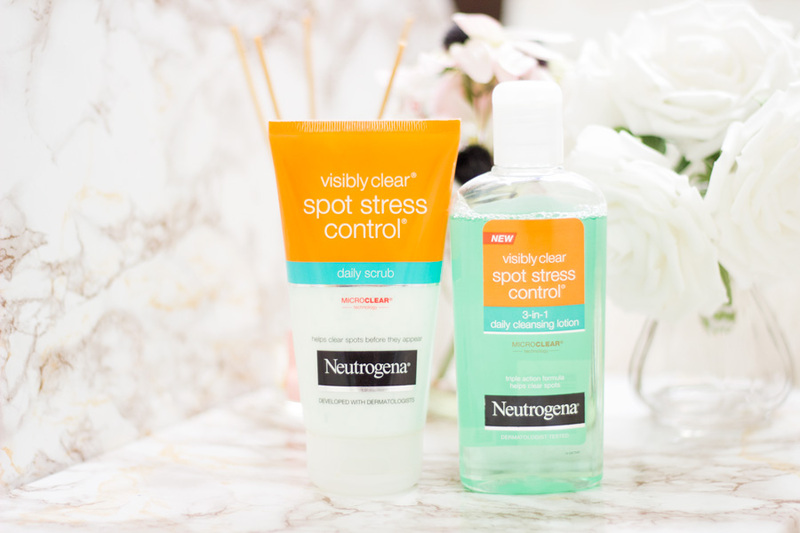 It's none other than Neutrogena. 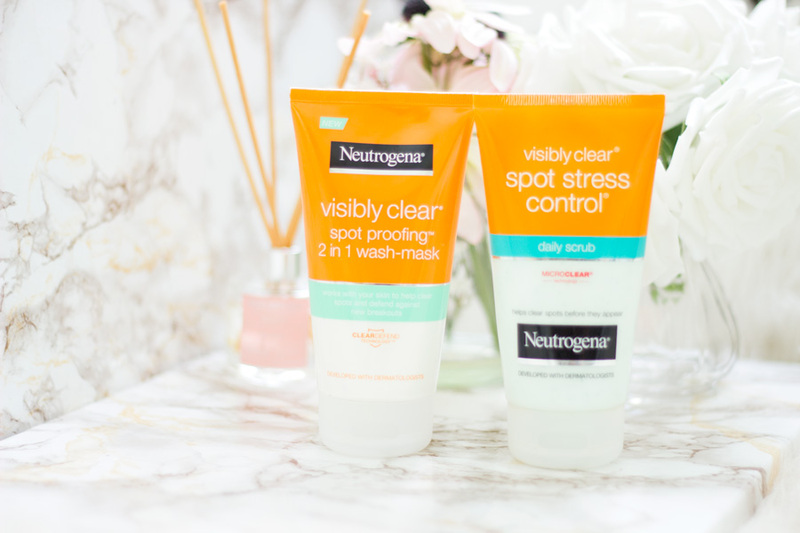 When my Acne was getting on my last nerves, Neutrogena Visibly Clear range was one of the skincare brands that helped my skin. I have spoken about some of these products here, here , here and here. They kindly sent me some products from their revamped Spot Proofing range and I was keen to see what had changed. I have tried out this range for more than a month now so I want to share my thoughts. 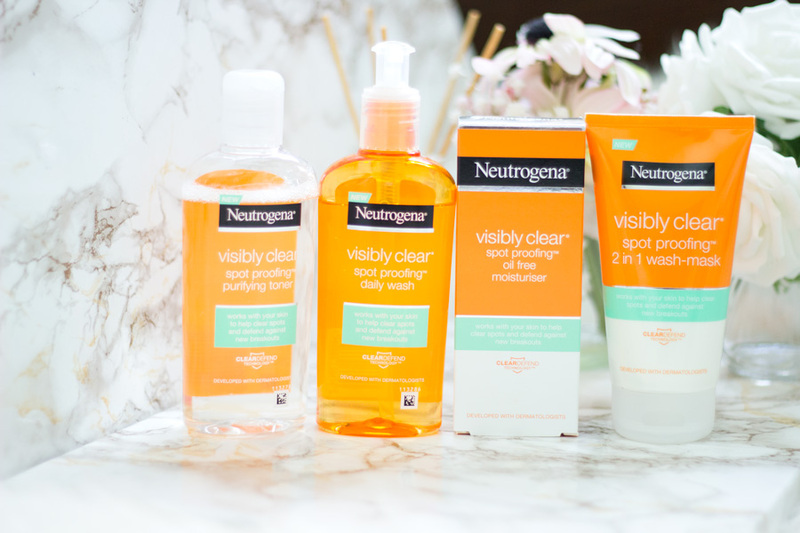 Neutrogena has always been a very innovative beauty brand that develops products that work for different skin types. 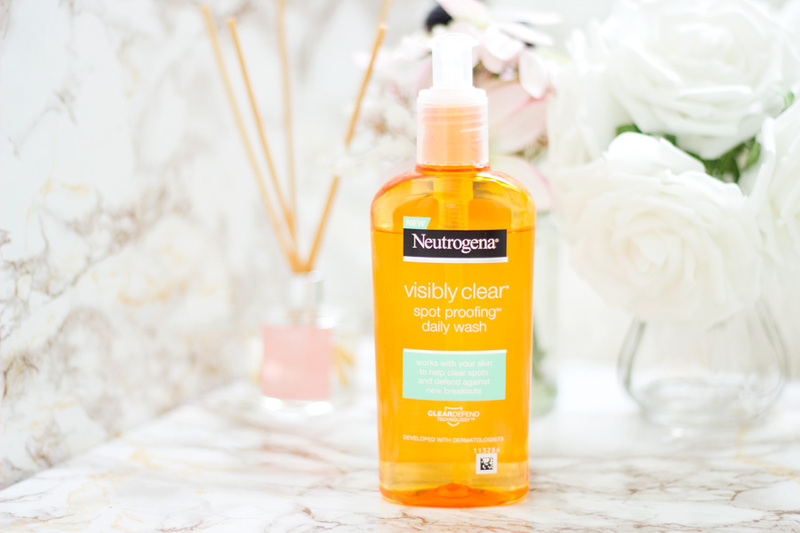 They have a good number of products but the Visibly Clear range will always be my favourite. 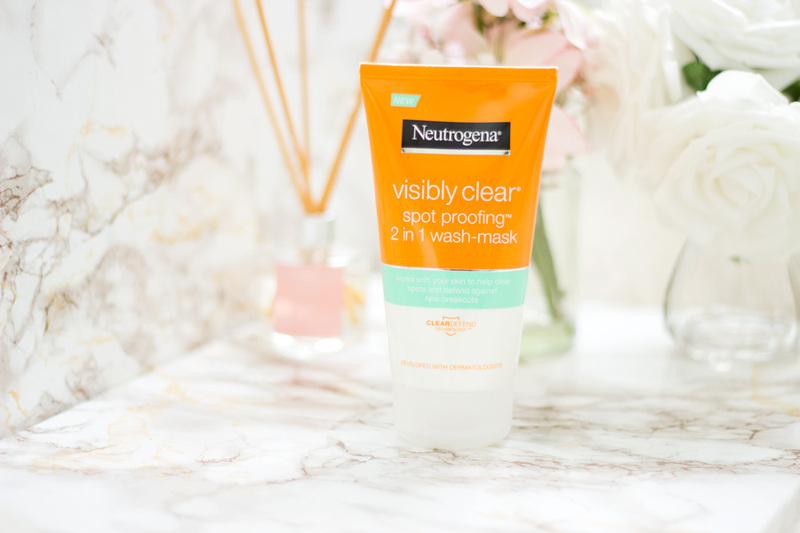 Neutrogena has combined cleansing innovation and powerful spot fighting technology to develop their Spot Proofing Range. The range is designed to prevent the skin from breaking out and treating the skin if any spots manage to show up. The great thing about this range is that it is gentle enough such that most of the skin's essential nutrients are still left intact even while it is protecting the skin against spots. The range consists of five products which include: Spot Proofing Daily Wash*, Spot Proofing Daily Scrub, Spot Proofing Purifying Toner,* Spot Proofing Daily Moisturiser* and Spot Proofing 2-in-1 Wash-Mask*. 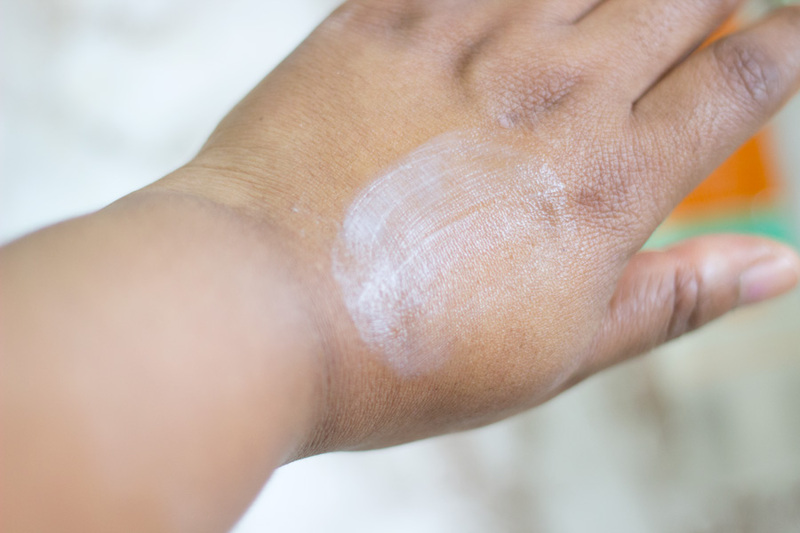 Some of the spot proofing ingredients the products in the range contain include Salicylic Acid and Lactic Acid which I love on their own or combined in products because they are very effective. You can find out more about the range here. 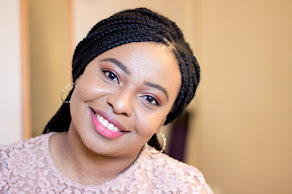 I was very kindly sent almost the entire range and I incorporated them into my skincare routine to see how well they worked. 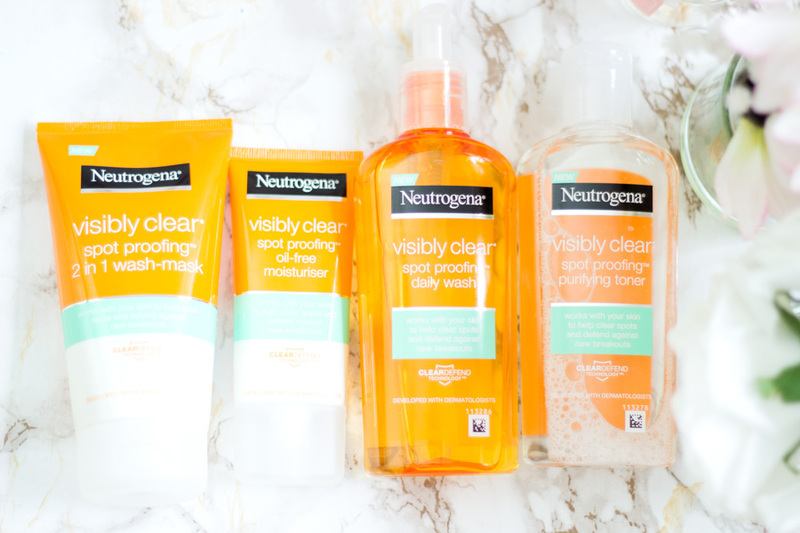 Neutrogena Visibly Clear range packaging has always been simple and easy to use which is what I like. I love the orange colour theme and for some reason, it reminds me of summer. I love that the Facial Wash has a sturdy pump which makes it easy to dispense/use. The pump has a lock on it which I have put to the test by travelling twice with it and there were no accidents or splillages. I won't say all the products are travel friendly with regards to their size (not the design) as they are at least 100ml or more. However, I think this works out as a good thing because you get more for your money. The only exception is the Daily Moisturiser which is only 50 ml and slots well into my travel skincare bag so I would classify it as travel-friendly. Overall, I think they have very practical packaging. I also love their packaging of the other products including their Pink Grapefruit Facial Wash with lovely illustrations (I refill this bottle because this is my favourite packaging they have done). 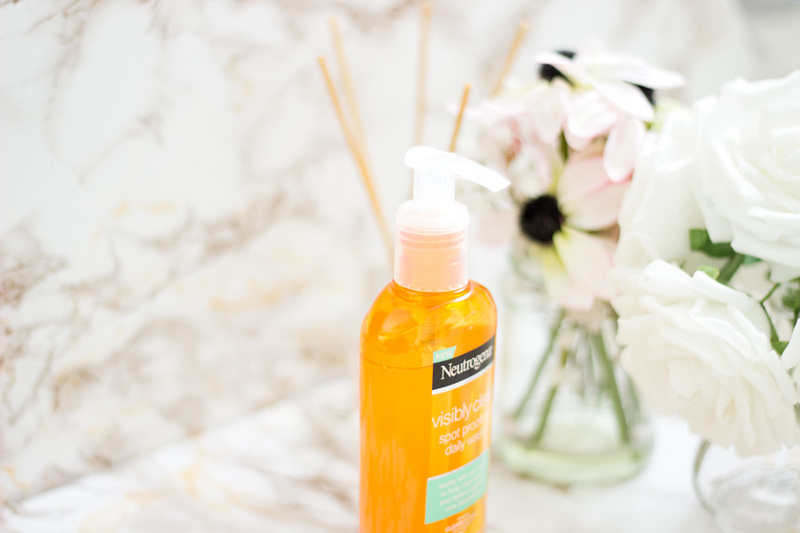 The only Daily Wash I had tried from Neutrogena was the Pink Grapefruit Facial Wash which I really enjoyed. 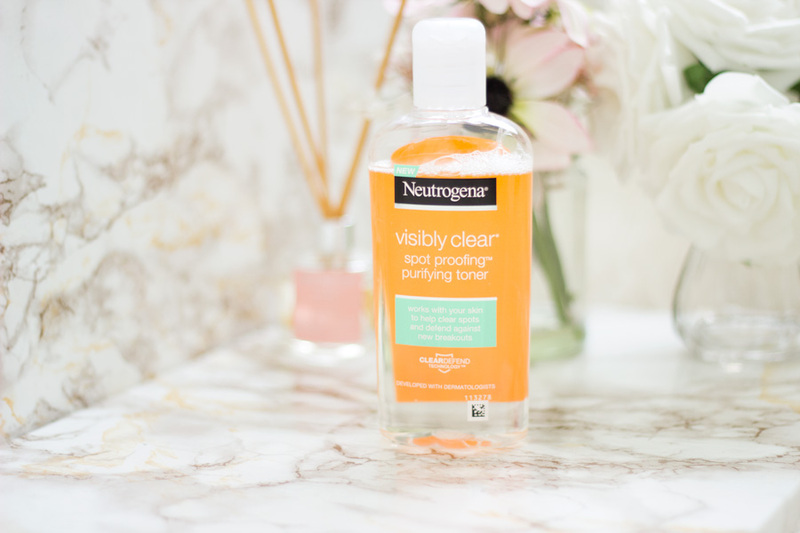 I was very open to trying another Daily Wash from Neutrogena and I have to say I have been really impressed with this one. I already mentioned that it comes with a pump which I love; in fact anything with a pump is a winner in my books. It has a slight fragrance (quite pleasant) but it does not linger and has not irritated my skin. I use it in the morning and night to cleanse my skin along with either my FOREO Luna* or Magnitone Bare Skin Cleansing Brush*. Depending on how wet your face is prior to use, you may get different levels of lather. I would say it is mid-level when it comes to forming a good lather which may be both good and bad depending on your preference. I personally prefer a good amount of lather especially in the evenings when I am also taking off my makeup. The great thing about the Spot Proofing Daily Wash is that my skin never ever feels stripped which is fantastic. I personally feel that the more lather there is in a facial wash, the higher the chances of my skin feeling stripped after use. 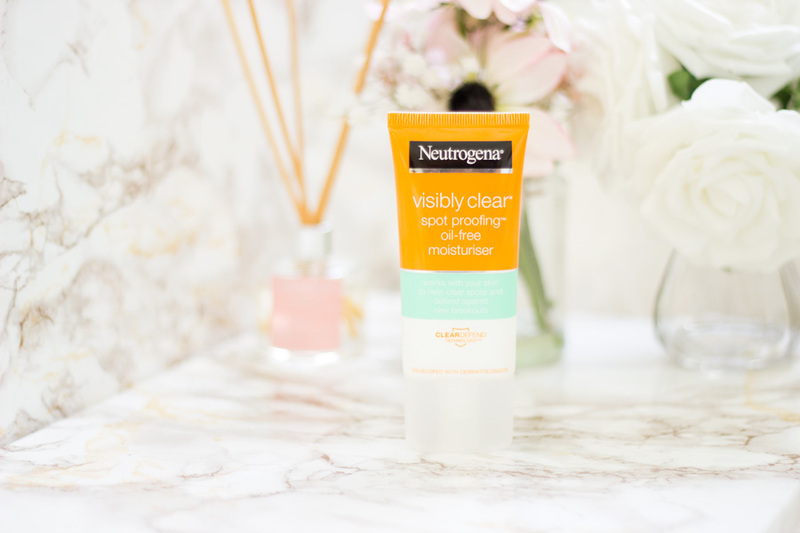 Thankfully, Neutrogena has found a nice middle ground to provide good cleansing without stripping the skin from its natural oils and moisture levels. 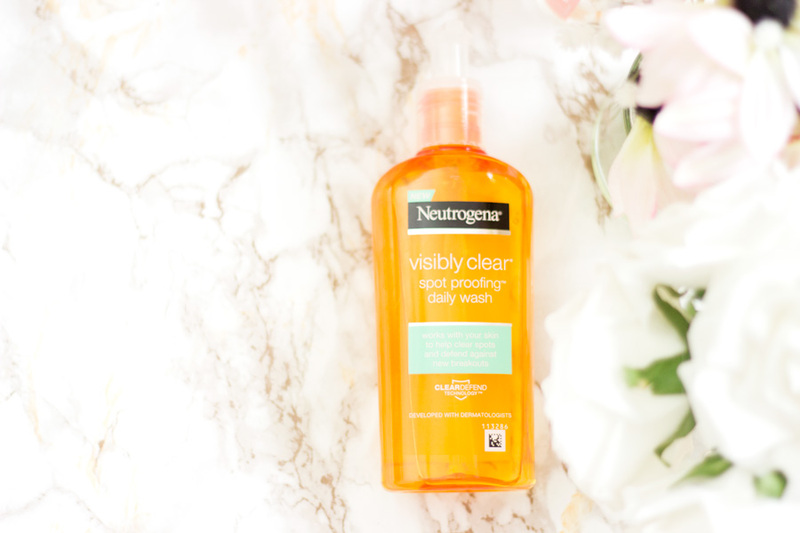 I find my skin well cleansed each time I use it and I have truly enjoyed using it. I recently went to Scotland for a break and I had to bring it along with me because it's just been one of my favourites. 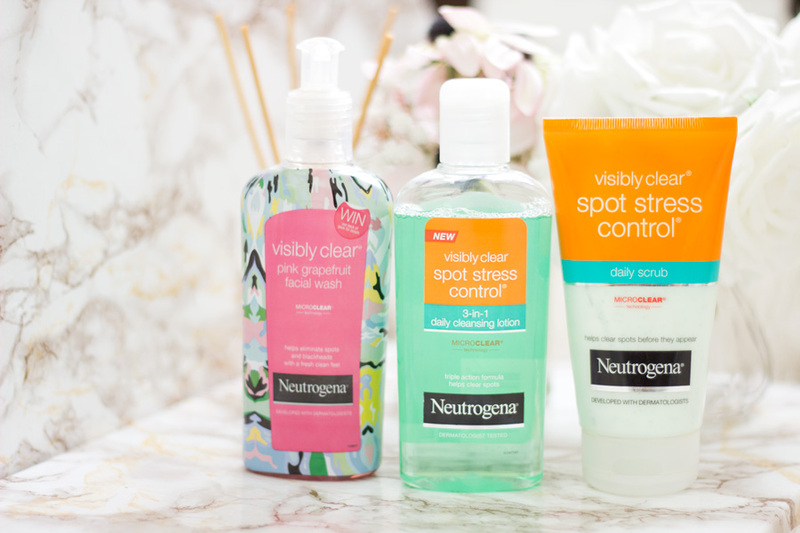 I previously owned the Visibly Clear Spot Stress Control Toner which really works wonders whenever I break out but it contains alcohol so I always use it with caution. I could not wait to try the Spot Proofing Purifying Toner mainly because it does not contain alcohol and it is suitable for sensitive skin. It has a very faint pleasant fragrance which I don't mind at all; some may not even notice. I have to say this is one of my favourite products from the range and I am so delighted I got to try it. 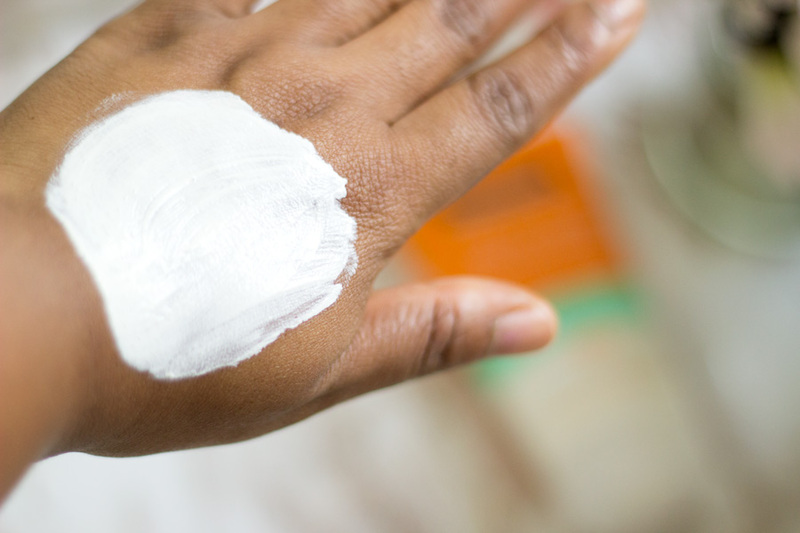 First off, it is very effective at preventing and treating spots because it contains Salicylic Acid, Lactic Acid and Citric Acid. 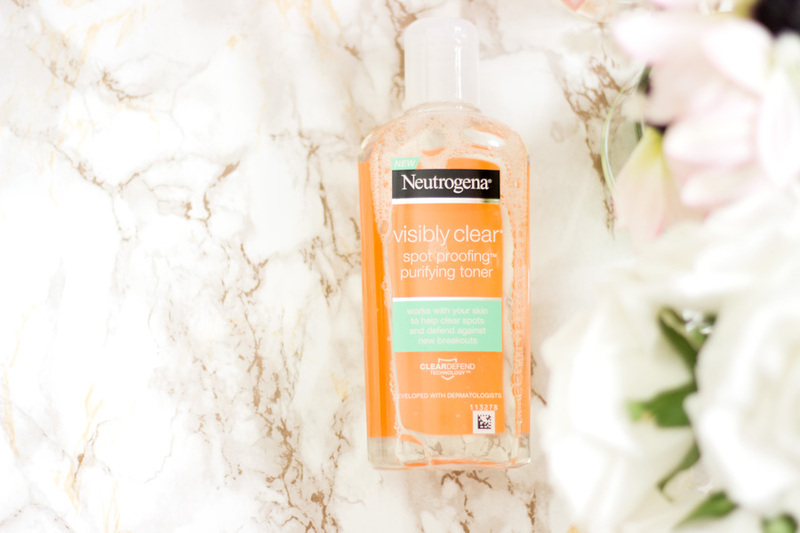 It's very difficult to find products that are designed to treat spots without stinging or irritating the skin however this is one toner that is super gentle with no stinging or irritation. 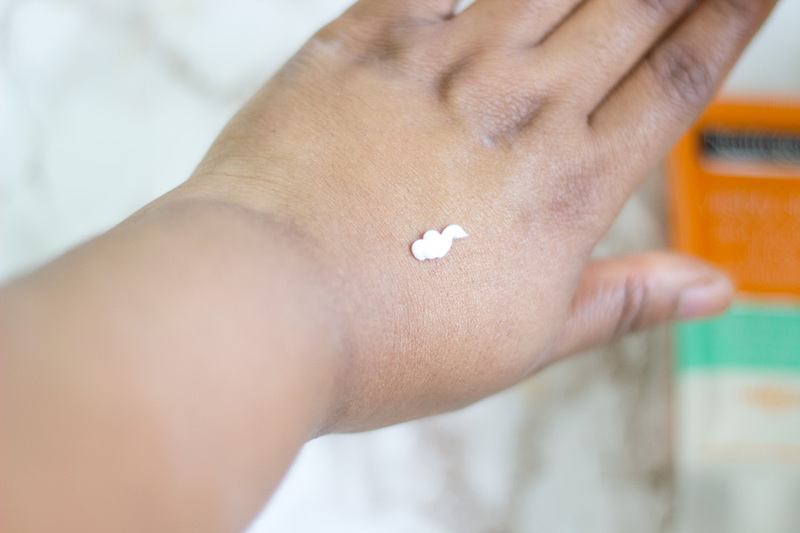 Another skin benefit I have noticed is an immediate glow to my skin after use. Initially, I did not think much of it but with each use, I noticed this glow. I had to go back to check the ingredients list to see what may be responsible and I think it may be the Glycerin. It really gives such a healthy glow and I am really impressed by it. If you have been searching for a good acne/spot busting toner, I will highly recommend giving this a try. This is another favourite product in the range for me and I have used the previous version for years in fact it has been featured in quite a few monthly and yearly favourites. I introduced this moisturiser to my sister and mum because I saw great results with it. First off, it is an oil-free formula which means it gets absorbed easily, hydrates and moisturises my skin. 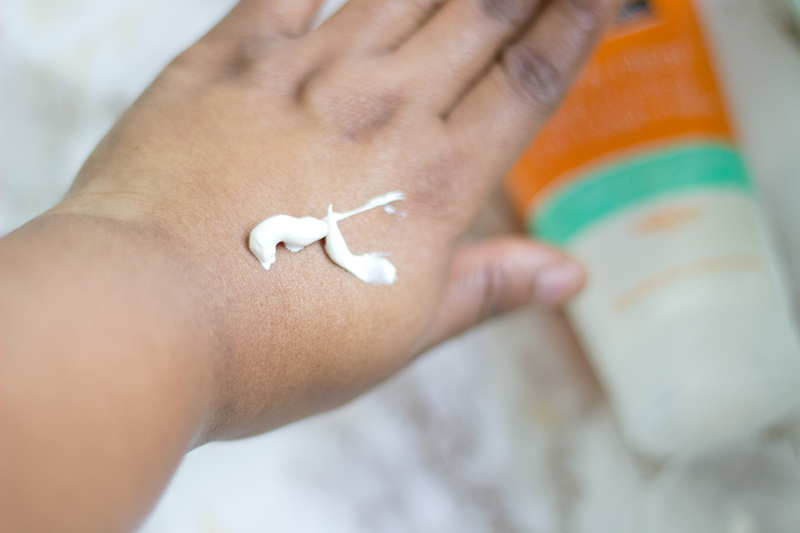 As I have combination-oily skin, the formula gives me so much joy because it does not interfere with my skin's oil balance and my makeup glides on so well. Similar to the other products in the range, it also contains Salicylic Acid and Lactic Acid which work into the pores of the skin to unclog them. It means you are getting both a treatment and a moisturiser in one product which is pure bliss. The texture is a lovely one which absorbs well into the skin with minimal effort. I would not say it is the most hydrating formula I have ever tried but it provides an adequate amount for my skin type. This is one product that I always have backups in my stash and now that this new formula has been developed, I will be stocking up. I have not noticed any difference between this formula and the previous version which I guess is a good thing because they both work well. I love products that serve two purposes so the 2-in-1 Mask was a welcome addition to my stash. It can be used both as a foamy daily cleanser or as a mask. On days when I need extra lather or I feel my skin requires a deep cleanse, I reach for the 2-in-1 Mask and it does an excellent job. However, I do find myself reaching more for it as a mask because I love the texture and how it feels on my skin. 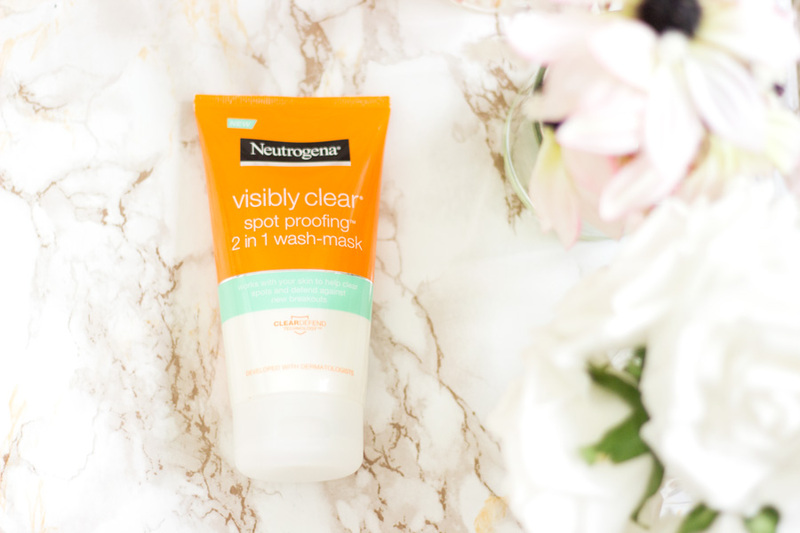 As a mask, I apply it to cleansed skin and leave it on for at least 10 minutes because I want it to have ample time to work. It contains skin loving ingredients including Salicylic Acid, Lactic Acid, Bentonite and Kaolin amongst other ingredients. These ingredients help draw out any impurities in the skin and leaves my skin feeling clean and fresh. It also contains Menthol which gives it a slight tingling feeling which many people don't mind because it makes them feel like the product is working. I don't mind either at all as far as it does not irritate my skin. I have really enjoyed this mask so much more than I thought I would. I tend to use it more when I am approaching the end of my cycle to prevent any breakout and I have seen remarkable results. You can purchase the entire range from Boots, Superdrug and other beauty retailers both online and in-store. I normally purchase them whenever any of the beauty stores have offers and I always get a great deal. Even without offers, they come at a really affordable price (from £4.99) and it is somehow difficult to imagine that such an effective range does not break the bank. I am so glad I got a chance to try the Spot Proofing range and I think what stands out is how gentle and effective they are on the skin. 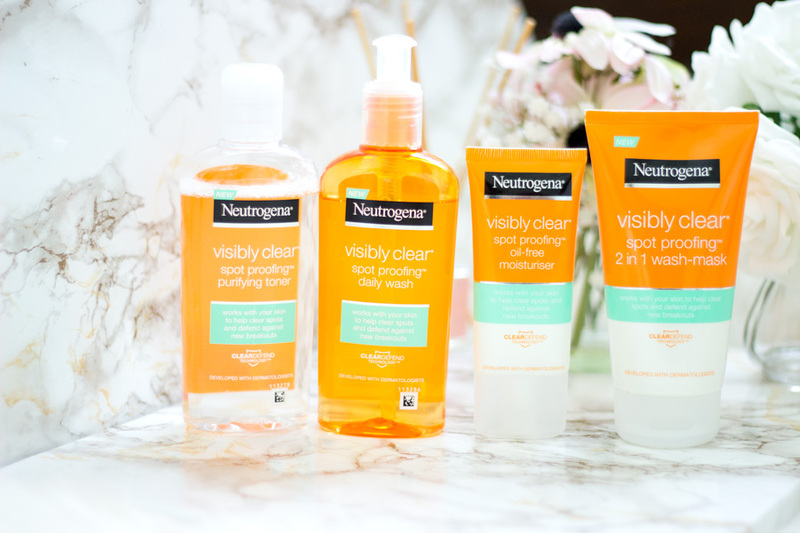 I love that Neutrogena has created this range for people who may not have gotten well with their previous spot preventing ranges due to their sensitive skin. I will highly recommend giving this range a try if you are having a tough time with regular or random spots. That's pretty much it from me today. 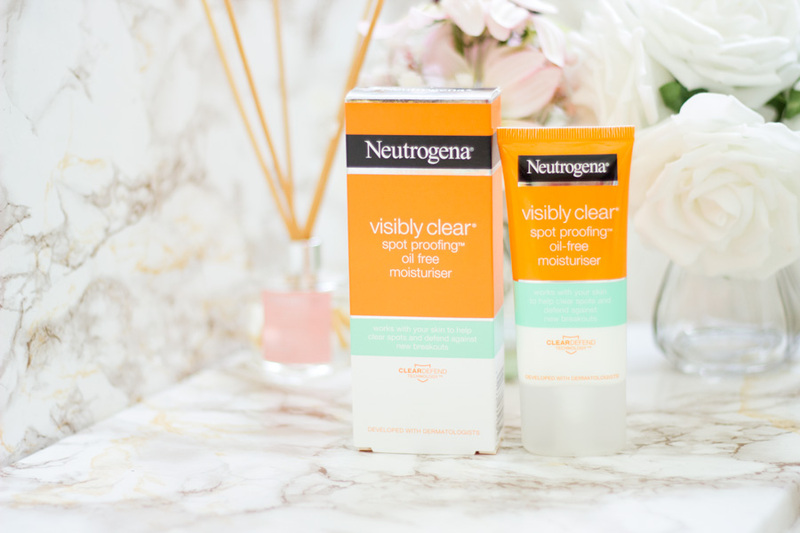 Have you tried the Visibly Clear Spot Proofing Range? Always love this brand even f I haven t tried all their roducts!